Today's card features the "Hooray Collection" from the Stamps of Life June Card Kit. If you want to see what's included in the kit, click here to my video. 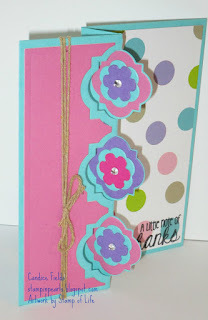 I used the Playful Flip-It die for the card base and layers. I cut the flowers out using the Flowers #2 triplet dies.